Live Blood Analysis: Before and After Pictures/ Six Weeks Later! I want to thank you for your work and wisdom. 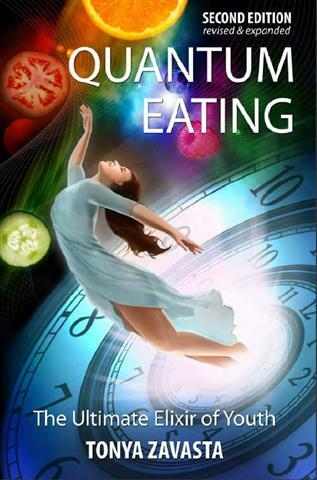 Quantum Eating is Genius. I follow your blog and ppreciate all the knowledge that you share. I would prescribe quantum eating to anyone for any problem that they may have. I hope it won't be your last book. I have not reached a few of the principles such as the dry fast and Bikram yoga but what I have adopted has changed me physically, mentally and emotionally. I am very grateful to you. A good start to my day is dependant on fresh juice and it feels fantastic to wake up after a 14 to 15 hour daily fast. My skin has changed and my body is changing everyday, but none of it compares to how great I feel. Some nights I have so much energy that I have to be active in order to get rid of it (it gets a bit uncomfortable sometimes). I have a long list of changes from physical to mental and emotional that I am recording, but I want to thank you first before sharing it with the world. With this lifestyle I was inspired by Therese de Wolf to monitor my progress on a cellular level through live blood analysis. So although I am not a quantum girl completely, I know that steady progress will get me there. Over the next few months I will record further changes in my blog but I wanted to share this with you to say T H A N K Y O U!!!! At my first analysis, I was not raw but I was high raw with cooked vegan foods and a considerable consumption of processed sugar and carbohydrates. The second results are due to following your quantum principles. Thank you for your passion and thank you for sharing it. · A lot of uric acid in my blood. This forms sharp crystals in my blood. Not good. · I have bad digestion. 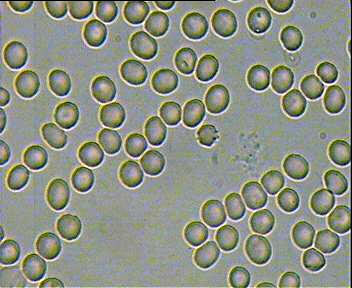 This is indicated by a lot of red blood cells clumping together and joining. 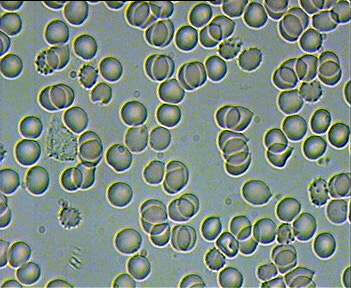 · Red blood cells live for a total of 120 days and so are replaced every 120 days. My cells are over-burdened and over-worked so they are living to a maximum of 80-90 days; therefore, my cells are aging at a quicker rate than is necessary. I have been taxing my body with more food than it needs and also the wrong type of food. · There is free radical damage to my cells. That is indicated by black spots on each cell and the cell becomes a little shrivelled. · There is yeast residue in my blood from all the processed sugar and carbohydrates. · Some of my red blood cells are bigger or smaller than others. · My white blood cells are working well, I saw them eating up all the toxins and residue that was floating around. Nicholas (my Naturopath) could not believe the difference in my blood and the fact that it was not very difficult to stick to quantum eating. · A lot of the damage to my cells is gone. · Bad digestion has been eliminated. · My cells are not dying prematurely as before. · Apparently, I do need to continue my intake of iron.